There are plenty of Frankensein-sque brewers out there, pushing and sometimes breaking the envelope using usual brewing techniques or ingredients. Some cannot resist the temptation to jack up the levels of alcohol or bitterness to obscene levels. Some of it can be attributed simply to a creative drive to do something new and usual, to experiment and take risks, which pay off in the creation of a new and unique beer drinking experience. It’s also driven by the desire of to stand-out in an ever more crowded brewing field, where the bar for doing something new and usual get raised higher and higher to absurd, ridiculous levels. And there’s no shortage of craft beer drinkers willing to stand in long lines to pay the top dollar prices just to taste them. Why? We all like to take a peek at the monsters. For this this session on Frankenstein beers, I decided to focus on one of my hometown breweries, Mayfield Brewing, known for their Iconoclast series of beers aged in used wine barrels. 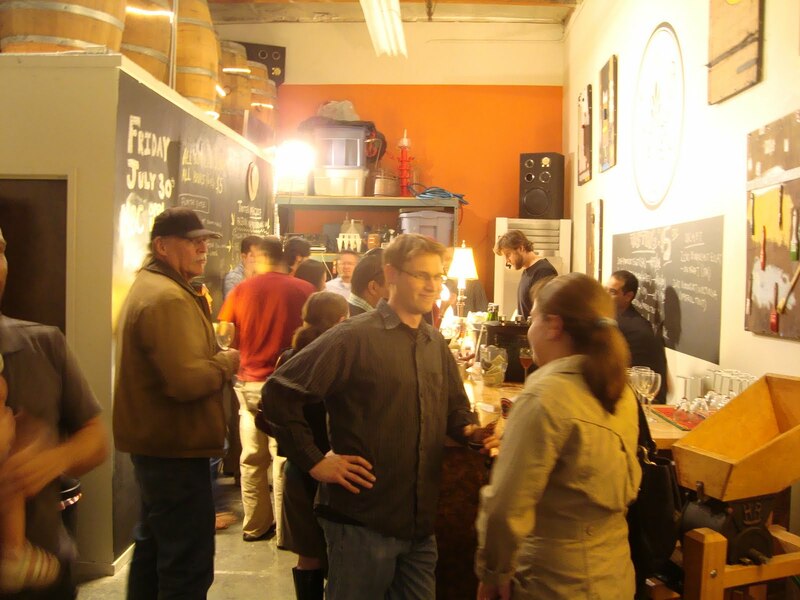 Located in Belmont, CA, about 20 miles south of San Francisco, Mayfield Brewing seems ideal for this discussion of mad scientist brewers, since brewer and owner John Alderete actually is a scientist, with a Ph.D. in molecular biology. When I met him at recent brewery open house, he hardly came across as a mad scientist, speaking in a calm, reserved, and logical manner while explaining his barrel-aged beers, making it almost seem like he’s not doing anything particularly unusual. 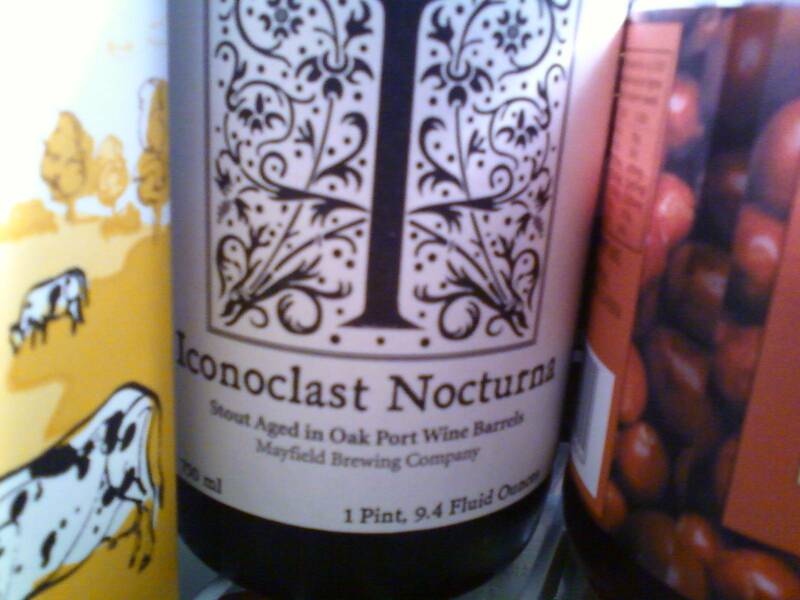 Aldrerete’s most celebrated beer is his Iconoclast Nocturna, an Imperial Stout aged in Petite Syrah barrels. And it is excellent. Red wine and chocolate is a natural pairing, and the Syrah and rich chocolate flavors of the Imperial Stout pair effortlessly. There’s also smoky and vanilla notes adding to the complexity of this creamy, rich tasting stout, and it truly is a very memorable experience. There’s a bottle of it in my refrigerator that I’m saving for a special occasion. Alderete’s decision to brew and barrel age an Imperial Stout, a commonly barrel-aged beer and Mayfield’s most popular one, was mostly an after thought. He almost seems bored by this beer. He appears more passionate about his other two beers, the Iconoclast Aurora an Altbier and the Iconoclast Eclat an IPA, which are both aged in Cabernet and Zinfandel barrels. Having tried these beers as well, I can tell you both are quite complex and interesting. Interesting flavors come and go as the beer warms up, the flavor profile changing with every sip. However, the red wine flavors seem to clash with the Altbier and IPA styles and the tastes seems a bit forced, with the end result coming across a bit like a mad scientist’s brewing experiment. John readily admits his beers are unusual and often take a while to get used to, also points out that while his IPA is atypical by today’s standards, it is in fact more true to the IPA style’s origins of travelling long distances by sailing ship inside wooden barrels. I have to say, Alderete seems much more turned on by the challenge of creating a beer of unusual flavor combinations for people to slowly discover for themselves, than putting out something easily and instantly appealing to everyone that’s easy to sell. While I’m not totally sold on John Aldrete’s Aurora and Eclat beers, they continue to draw me in every time I drink them, and I look forward to tasting them again. Why? I like to take a peek at his creations.